This is a lovely piece of green agate with a druzy in the center of it. I wrapped it sterling woven wire and it hangs from a sterling chain. 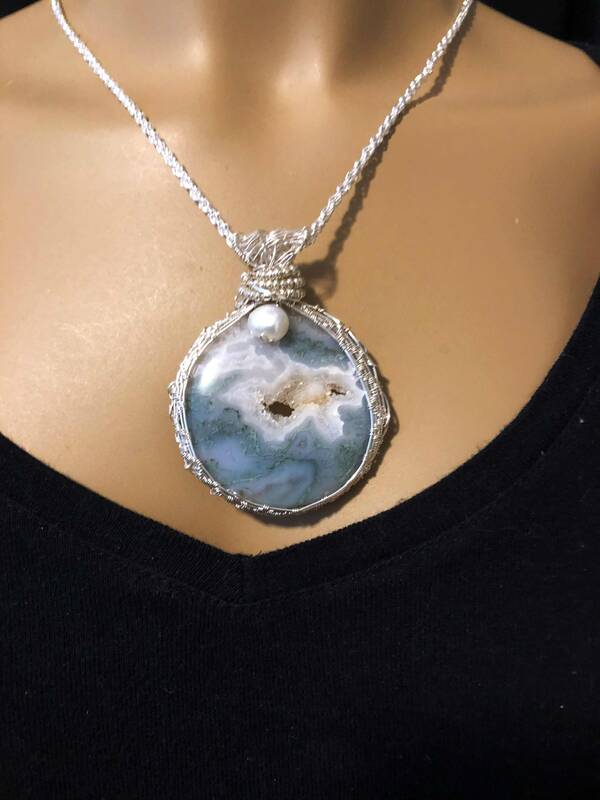 The pendant, not including the bail is 2" in circumference. It has a fresh water pearl on the front below the bail. At least 3,000 years ago, they were using agate for seals, rings, and decorating vessels. Agate is named after the Achates River (now called the Dirillo) on the island of Sicily, in the Mediterranean, an ancient source of this gemstone. The art of dyeing it into vibrant colors began with the Romans. Today, not only does it continue to be popular for art objects and jewelry, industry also "loves" agate because of its hardness and resistance to chemicals. 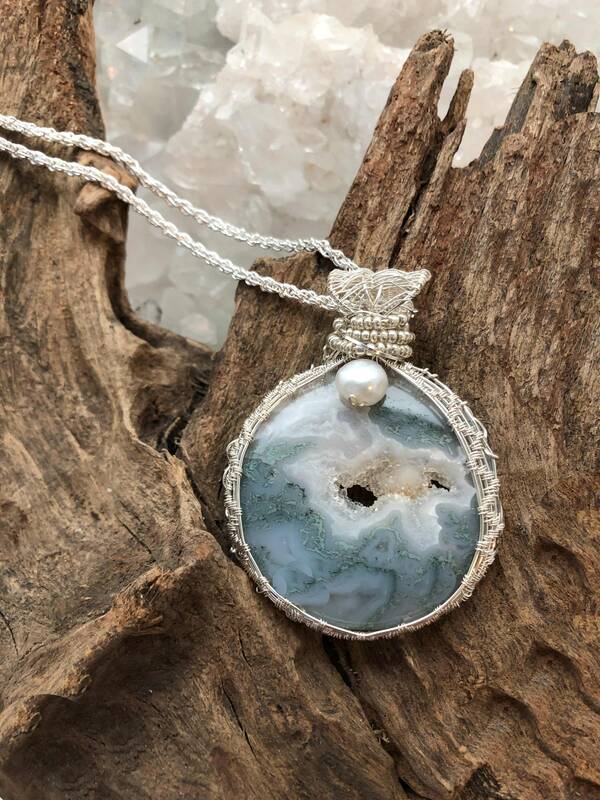 In this stone, the spiritual power of green is combined with that of agate. 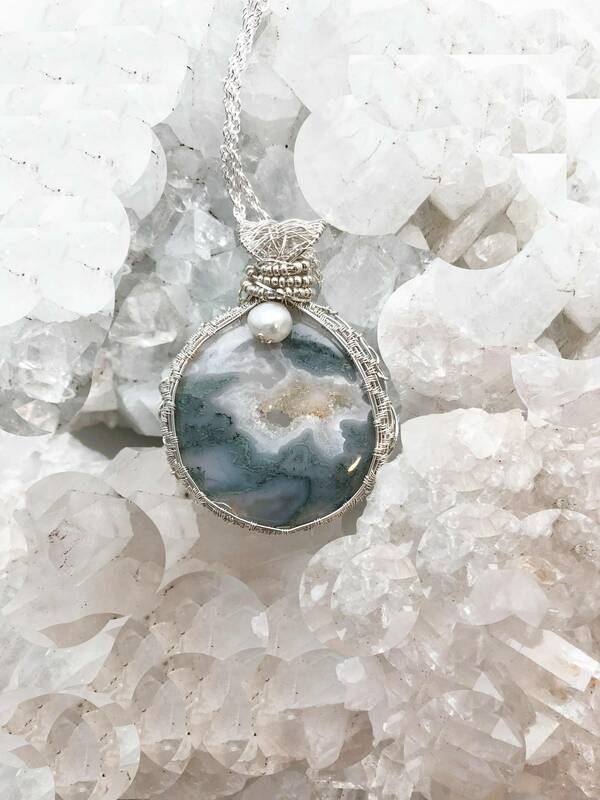 According to modern healers who use stones in healing, green agate increases compassion, generosity and a keen sense of justice, along with enhancing mental and emotional flexibility, improving decision-making and resolving disputes. It also encourages these traits in others.